Birthday bakes are my favourite, and as this one was for a special person, it had to be be an extra special cake. I’ll admit that chocolate, coconut and pistachio are three of my own favourite flavours, but I think many would agree this is a winning combination. 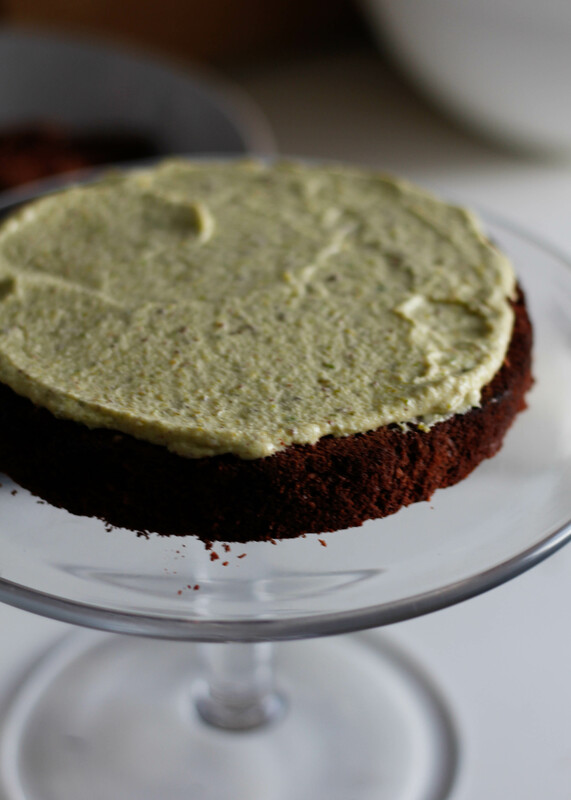 The cake recipe is based on my Coconut Sunset Cake, with a generous helping of raw cacao powder added. It’s dense and rich and totally delicious. 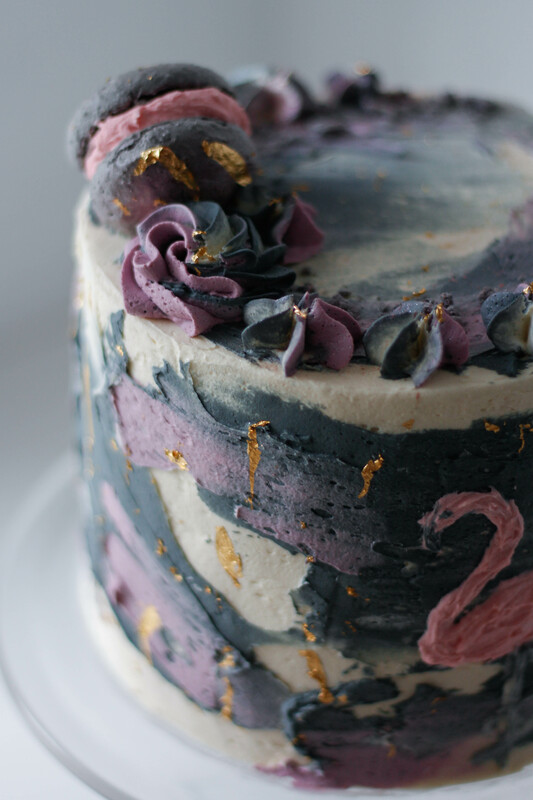 A special cake also requires special decoration. For this I used homemade macarons (one for decoration, the rest for eating), edible gold leaf and buttercream details. 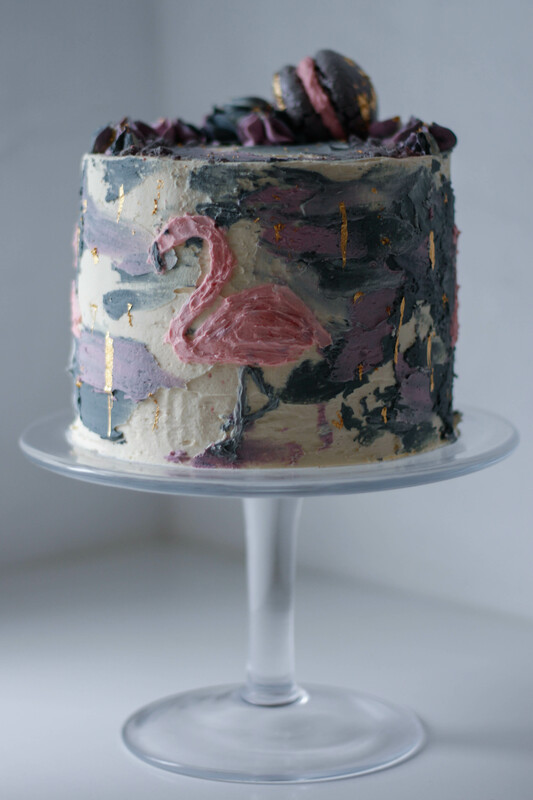 The flamingos were a result of a little experimentation and a lot of extra time on my hands. 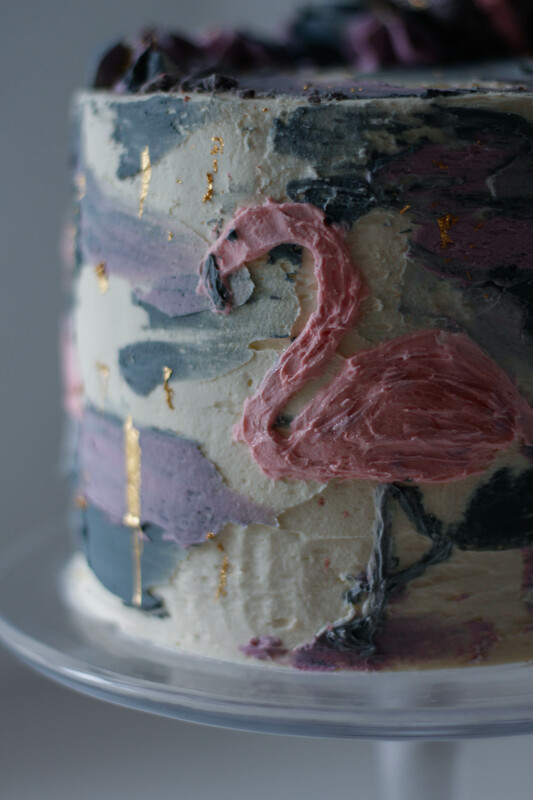 If you would like to give the flamingos a try, I just experimented with different makeshift tools I had in my kitchen – both ends of a teaspoon and the flat end of a wooden skewer worked best for me! I used this recipe for the macarons. Chop the creamed coconut into smaller pieces and place in a measuring jug. Fill the jug with boiling water up to 350ml, then set aside to dissolve. 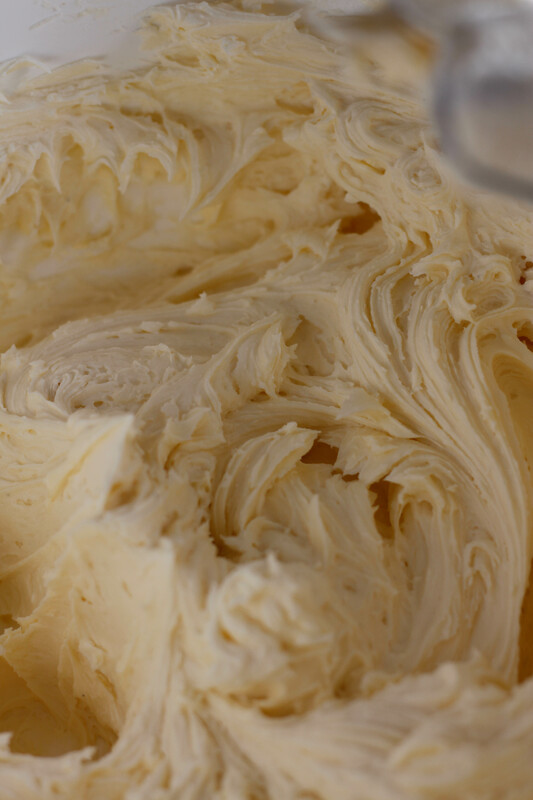 Cream the butter and 300g of the sugar, then add the extracts and egg yolks and beat until pale and creamy. Sift the flour and baking powder together, then stir in the desiccated coconut. Add the dry ingredients to the butter mixture, alternating with the creamed coconut. 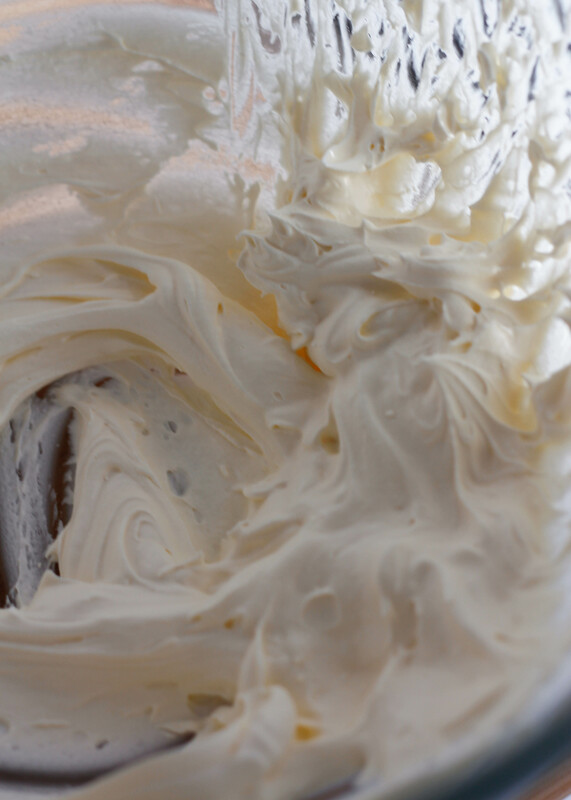 In a clean, dry bowl whip the egg whites to soft peaks, then gradually add the remaining 60g of sugar and continue to whip for a further two minutes. 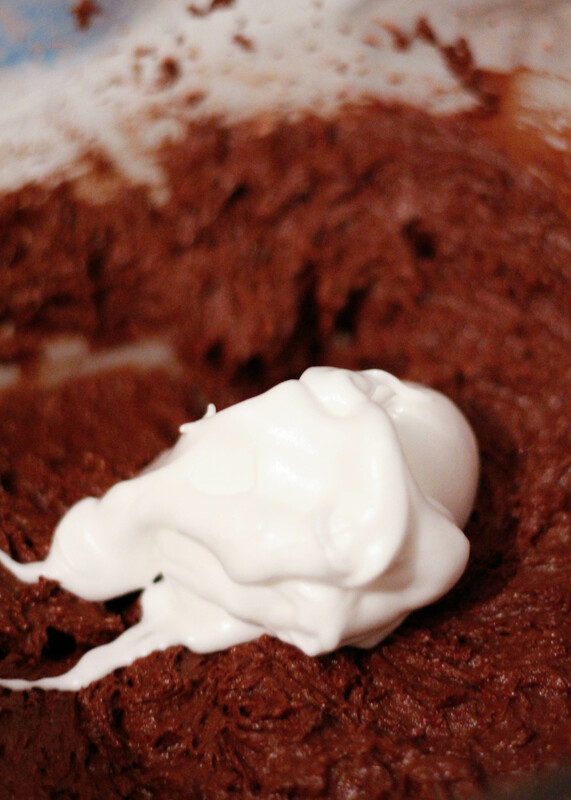 Fold the egg whites into the chocolate cake mixture. Divide the cake batter between three cake tins and bake each layer for 35 minutes, or until cake skewer comes out clean. 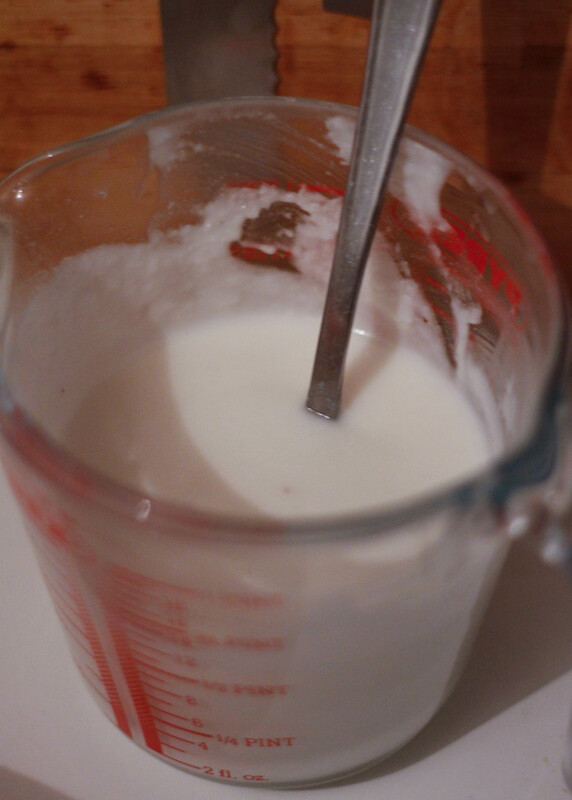 Place the milk and 60ml of cream in a saucepan and heat to a gentle simmer. 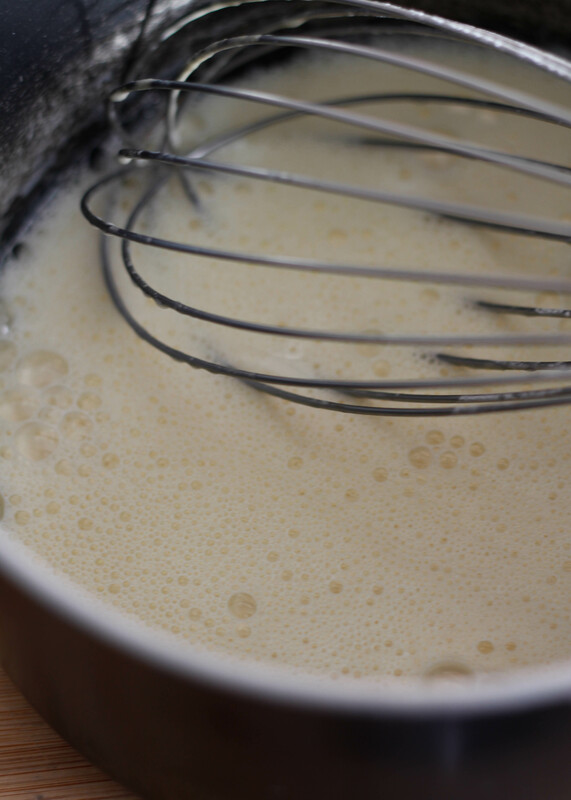 Whisk the egg yolks, sugar and flours together, then pour over the heated milk and cream while continuing to whisk. Pour the mixture into the saucepan and place over a gentle heat. 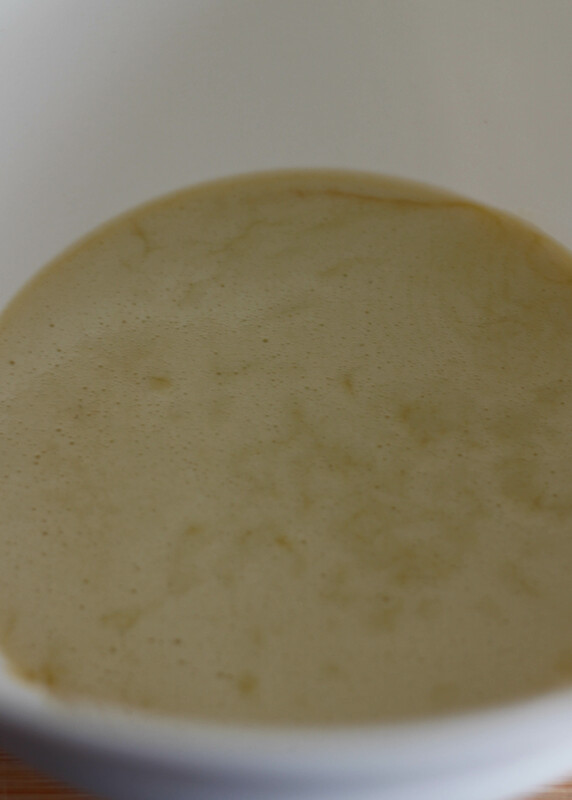 Gently whisk the mixture, heating until the custard starts to thicken, then remove from the heat and pour through a sieve into a new clean bowl. Add the pistachios, then set aside to cool. 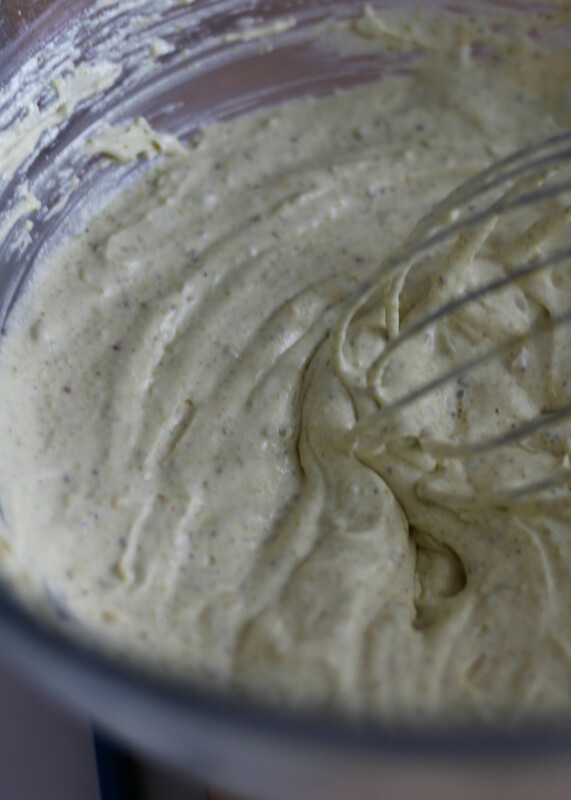 Whip the remaining double cream to soft peaks, then fold into the cooled pistachio custard. Melt the white chocolate, then set aside to cool. Start beating the butter, then gradually add in the icing sugar. Add the milk little by little when the icing gets too stiff, then beat in the vanilla extract and the white chocolate. 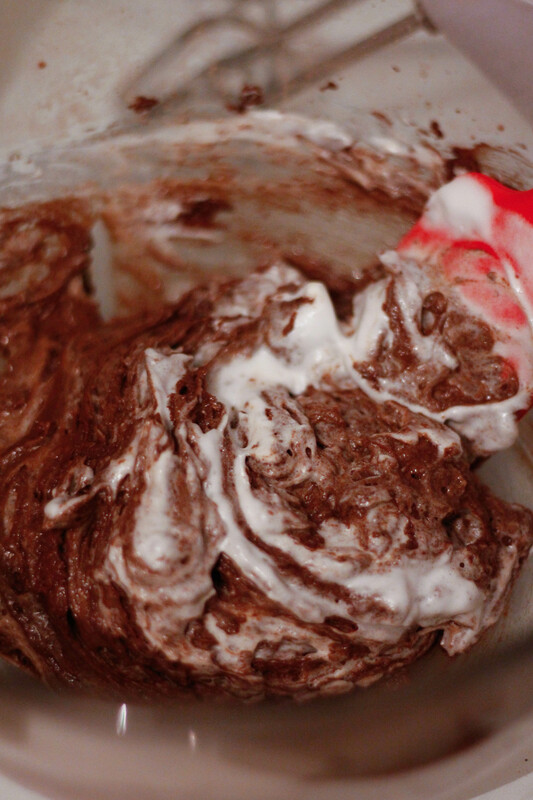 For white frosting I use this Sugarflair Superwhite Icing Whitener , about 1 Tbs mixed with 1 Tbs of water for this amount of buttercream. For the other colours I use AmeriColor Soft Gel Paste . Use a cake cutting wire to cut each cake in half so that you are left with 6 even cake layers. 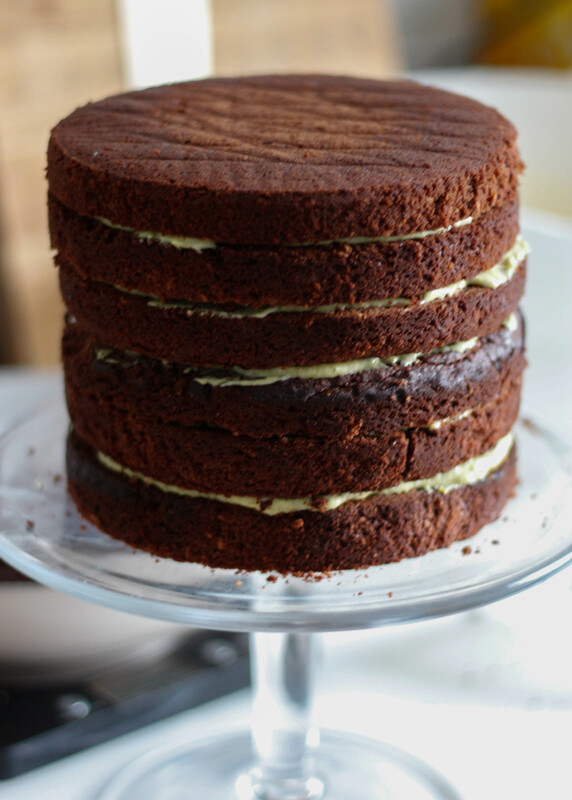 Place the first cake layer onto your cake stand and cover with a layer of the pistachio custard filling. Place a cake layer on top of the custard, then continue the process for the remaining layers. Refrigerate the cake for 30 minutes. 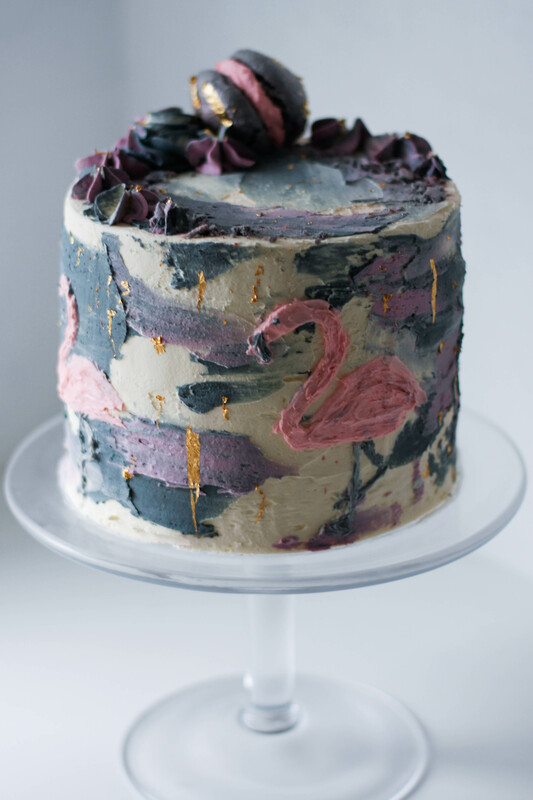 Crumb coat your cake with a thin layer of white buttercream using a palette knife , then refrigerate the cake for a further 20 minutes. 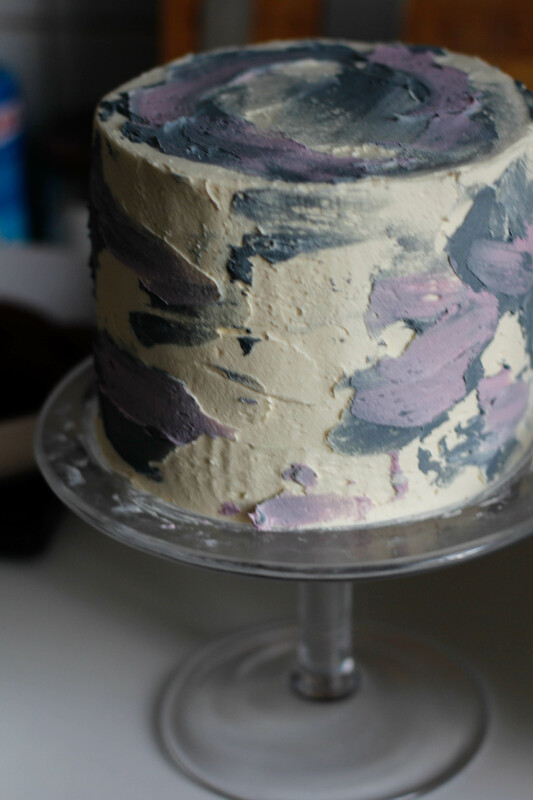 Frost your cake with another, thicker layer of white buttercream, then use your palette knife to smear alternating colours of buttercream intermittently around the cake.